There are two ways to share your location with other people: temporary or permanent. We’ll look at temporary sharing first, using the Messages app. Temporarily sharing your location is useful for all kinds of reasons. Share with your mother when you’re on your way to visit so she doesn’t keep texting to ask where you are while you’re driving. Or a group could share their locations with each other when on vacation, so nobody gets lost. To share your location in Messages, open up a conversation with the person you want to share with. This can be an existing conversation, or you can create a new one. Then, tap the little i at top right, and in the resulting screen, tap Share My Location. In the resulting popup panel, choose how long you want to share for. The options range from an hour, to all day, to forever. If you choose a timed option, a countdown begins. You can share with an individual, or with a group. 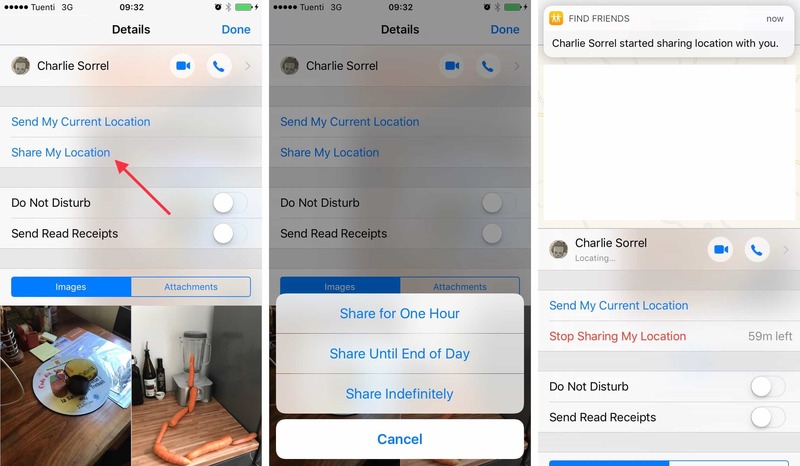 However long you share, the other people in the conversation will get a message telling them that you are sharing your location. A map will also appear in your Messages info panel (the one you got to by tapping the i button), with your avatar showing your location. Another temporary sharing option is to just send your current location. This is good when you’re waiting for a friend in a restaurant, and even better when you’re waiting for them in a park or on a beach, where landmarks are fewer and farther between. This is a one-shot option. It sends a static map with your current location pinned to it. As you saw above, location sharing in Messages can be either very temporary, or permanent. But there’s another way to manage your location sharing on iOS. Go to Settings>iCloud>Share My Location (you’ll have to scroll all the way down to the bottom of the list on the iCloud screen). Here, you can choose whether or not to share your location, and also which device you want to use to do it. I use my iPhone, because I always have that in my pocket. 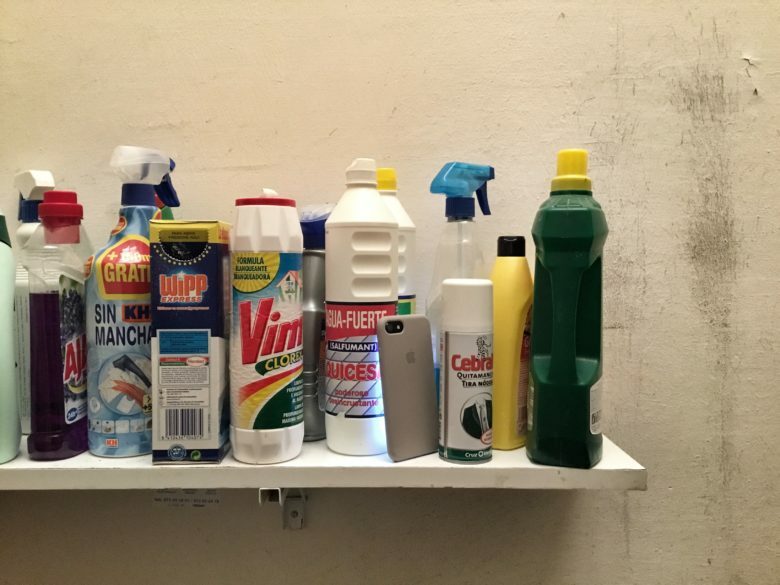 You can also remove old, unused devices from the list by swiping and tapping Delete. This section also allows you to manage who you’re sharing with, and has one other section: Family. 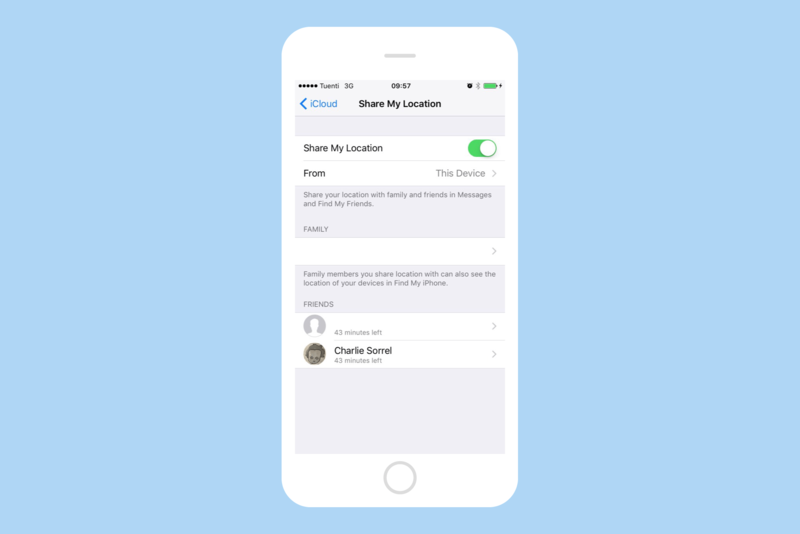 If you have Family Sharing set up in iCloud, one of the things you can share is your location. On this page you can see a list of all your Family members, and choose whether to share with them or not. Apple’s Find My Friends app is a stalkers dream. Finally, we come to the most famous of iPhone location features, Find My iPhone, and its close cousin, Find My Friends. These two Apple-built apps are pretty self-explanatory. In Find My Friends, you will see a list of anybody who’s sharing their location with you, and with whom you are sharing your own location. To see a person on a map, just tap them. In this app you can choose to add new people, and remove existing friends from the list, but really the app isn’t that useful. Messages has superseded it, and works much better. Find My iPhone, on the other hand, is still great. It shows all your available devices on a map (if they are sharing their location), and in a list. It also lists the devices of Family members. As the app’s name suggests, it’s very useful for locating a lost or misplaced device (iPhones, iPads, and even Macs), but it’s also a quick way to take a peek at the location of your entire Family’s devices. And of course there are the security functions, too, like telling the device to make a sound (to help find it), switching on lost mode, or erasing your device from afar should it be irretrievably lost. It might seem like there are too many places from where you can share your location, but in reality they’re all just different switches that turn the same thing on and off. If this was Windows, you’d probably have seven different processes all sharing your location independently, and you’d never manage to switch them all on or off. In iOS, though, if you switch location sharing on in one place, it’s on. The different apps are about tweaking the permissions, or viewing the location data in different contexts. For instance, if you scroll down to the bottom of the address book entry of one of your sharees, then you will be able to toggle sharing on and off right there. The tools for sharing your location are powerful, but easy enough to understand and manage. As long as you stay on top of things, location sharing is safe, and very useful.